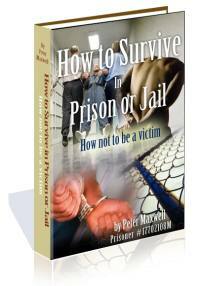 Putting money on an inmate’s books is done every day in thousands of prisons across the globe. An inmate with money can easily buy the necessities not provided by the state or federal prison. These items can include soap, deodorant, snacks and even full meals. But, you need to be cautious about how much money an inmate should have on their books at any given time. An inmate with too much money to spend may become a target for people looking to take advantage of a prisoner. That inmate could also be trading items for illicit and illegal items. Knowing the normal amount spent per month will surely keep an inmate out of trouble or harms way. If you are considering sending money to an inmate, be sure its for the right reasons and that it doesn’t feel like you were being conned into doing so. There are a lot of cons that inmates run on civilians. Especially female inmates when reaching out to men who are looking for love, wherever they can find it. Some of the typical lies told to people to get them to send money are normally some form of “life-threatening” occurrence that only the money they send can help solve a crisis. This is often not the case and you really have to know the underlying motivation for requesting the funds. If an inmate you know asks for money to pay for bond, you have to know this is a lie. The bail bonds process is over once a person has been committed to an institution to serve their time. Or when an inmate states they are eligible for early release yet they are serving 25 to life they aren’t getting out any time soon. A quick call to the prison may solve a few inmate questions you may have about sending money or anything else to the inmate. If you even think for a moment that sending money, clothes, stamps, or anything, to an prison inmate and you have questions. Call as soon as possible. If you need the phone number to any prison in the world you can use the JailGuide prison search system, which is free to use. I sent money to my father who is in prison in Spain and he has not received it yet. Is there someone I can contact to find out where the money went to? Your help would be appreciated. How do you know how much you should send an inmate for necessities like toothpaste and soap per week without sending too much? The amount of money is determined by the facility. Inmates are only allowed to keep a certain amount of money on their books. Again, this is solely dependent on the institution and what they allow. Its best to read the rules and policies of the prison or jail prior to sending money. You can perform a prison search to find the prison policies where your friend or loved one is being held. Most newer county jails have terminals now much like ATMS where you can add money to an inmate’s account simply by depositing cash or using a debit or credit card. It is more convenient. I think the county makes a small kickback for using the machine, IDK. I try to send money to my boyfriend at least once a month. Its hard to do sometimes and once he did not receive the money. I suggest to always use a money order and keep track of the stubs that come with it in case it is lost you can get a replacement. Also, most jails now have an atm like machine where you can put money in to a prisoners account.